PayPal Loans: How can you get one? Did you know that PayPal, the online payment system, offers businesses that have a PayPal account loans to help your company succeed where banks may have rejected you? This guide will tell you everything you need to know about PayPal business loans, including who PayPal is, what they offer and the application process. Let’s take a closer look and find out more. PayPal allows individuals, customers and businesses around the world take part in the global economy, by utilising a digital currency platform that means that you can make payments around the world without having to worry about different cards or exchanging your cash. 254 million users are currently active and have access to their funds regardless of whether they choose to do this in person, online or by using the PayPal app. You can use PayPal in over 200 markets, with ‘merchants’ being able to receive money in over 100 different currencies. PayPal was initially founded in 1998 under the name ‘Confinity’ as a money transferring platform, and then in two short years, there was a merger between X.com which was Elon Musks banking company. Confinity was rebranded to PayPal in 2002. In the same year, eBay acquired PayPal for around $1.5 billion, which is why eBay soon made PayPal their default payment setting. According to reports, one in four transactions during that time would be processed via PayPal. 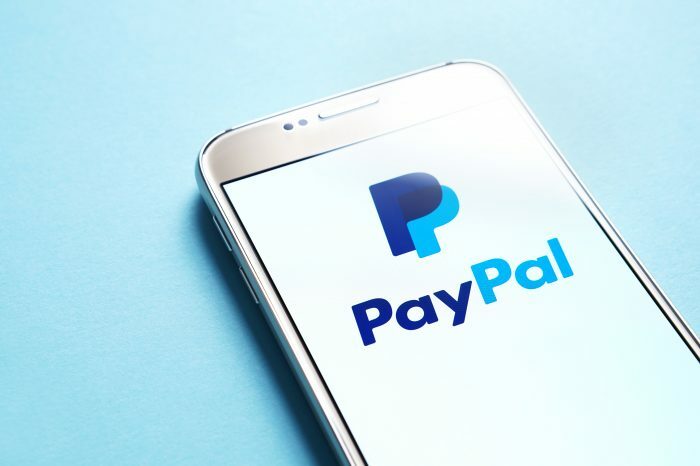 Since then, PayPal has acquired many different companies including VeriSign and Fraud Sciences, which were brought to help boost PayPal’s services. This means making sure that payments are as secure as they can be. In 2017 PayPal reported an annual turnover of approximately $13 billion, with their market shares reportedly being worth $55 each, and their net worth at $60 billion today. Take a look at the ExpertSure guides to find out more about your finances, or fill out the form at the top of the page to look at your loan options. First of all, you need to choose how much you want to borrow from PayPal. This will typically depend on your sales history, and your account behaviour, so you might find out that you can’t borrow as much as you predicted, or you could be pleasantly surprised! Keep in mind that you don’t necessarily have to borrow as much as you could, it depends hugely on whether you think you make the repayments and if it won’t end up putting your company in more debt. Then, you need to decide what percentage of your future sales will go towards paying back your loan in full. This is slightly more tricky, as you need to factor in the average costs such as customer acquisition, the price of the product landed, but you also need to consider your profit too. Taking out a loan to help you with these costs could help you launch your company to the next level so that it may be completely worth it. Next, you’ll find your funds deposited to your wallet. According to PayPal, this is a much quicker process than other forms of borrowing such as with banks. They claim that you could complete your application in under five minutes. According to PayPal, you’ll generally be offered working capital of around 30% of your annual PayPal sales, up to a maximum of £150,000. As your repayments will be taken from your PayPal sales, your loan term will probably be based on how many sales you make. However, PayPal does expect you to make a minimum payback in three months, which is 10% of your working capital loan. So if you borrowed £10,000, you need to have paid back £1,000. Plus, the fee – but more about that below. First of all, there isn’t an interest rate or anything like that to pay back. You only have to pay one fixed fee, which is dependent on your sales and account history, your repayment percentage and the amount you have borrowed. One of the best things about a PayPal loan is that it won’t affect your personal or business credit score. You can also rest assured that there isn’t an interest rate on your loan, just a straightforward fee. The application only takes five minutes to complete, and you could have the funds available in minutes. eBay sellers don’t have to change anything as long as they process their sales through PayPal. You can accept funds in other currencies. There are no early repayment penalties. You have had a PayPal account for over three months. Your company is registered in the UK. You process £9,000 in funds annually. 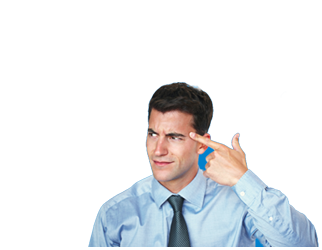 There aren’t any unpaid working capital loans on your account. You can use your PayPal business loan to help your business survive and thrive, which means putting funds into your stock for instance, or lowering your customer acquisition costs, or helping you to expand your company. In short, it’s when you ask a lender like PayPal to loan you some money so you can pay for things like vehicles or equipment. In return, you will pay back this money often over a set period including your interest. Interest is the name of the cost you have to pay in order to secure your loan, which is usually an amount that increases the longer you borrow the loan. There are many different types of loans on offer, so you should always compare your options to make sure that you are getting the right one. What is a quick business loan? For your business, a quick business loan gives you fast access to cash that can help your company thrive, or even expand. This could be launching another product, buying new vehicles or anything like paying for new employees. Plus, you can make manageable monthly repayments that are typically under two years in loan lengths, instead of other loans that might take years to pay back. So while your repayment amounts might be high, you might be able to pay it off in a few months which will let your budget more manageable. What are the benefits to a quick business loan? These types of loans are often more flexible. They are quicker to access. You can get a quick business loan from most providers. Usually, you won’t need to put up your assets as collateral. The interest rates are sometimes lower. An emergency financial boost can mean the difference between fulfilling a critical order or not. What’s the difference between a short-term, mid-term and long-term loan? The difference between a short-term, mid-term or long-term loan is the period of time that you can borrow the money, and how long you have to pay it back. A long-term loan might be for around ten years which means that you have a long time to pay off your loan. However, you will also be earning ten years of interest which can end up adding hundreds if not thousands onto your final bill. Mid-term loans are typically over two years in length, and your repayments will be lower than with a shorter length loan, and you’ll have enough money to help it to expand. While short-term loans require more substantial repayments over a shorter period. Are these types of loans good for bad credit ratings? Borrowing a short-term loan can make the first step in proving that you can borrow money, and pay it back. As long as you are entirely sure that you can make those repayments it can help you to build or repair your score, as if you fail you could end up damaging your score even more. Take a look at your loan options now. PayPal loans is an excellent fit for merchants that use PayPal to process their accounts and can benefit from not having to pay interest on their working capital loans. Amazon FBA Seller Loans: How can you get one? Funding Circle Review: How do they compare? Ready for a top business loan? Who Else Wants an Easy Business Loan?